The manufacturing of carpets in Pakistan began in the same way as in India. The manufacturing of carpets in Pakistan began in the same way as in India and when the country was separated from India most of the weavers, which were muslims, moved to the Pakistanian side. Most of them found jobs in Lahore and Karachi, and at the same time the government began to support the import of quality yarn. In Pakistan, carpets are manufactured nowadays with Australian wool yarn which furthermore is treated to lustre so these carpets are very similar to silk carpets. 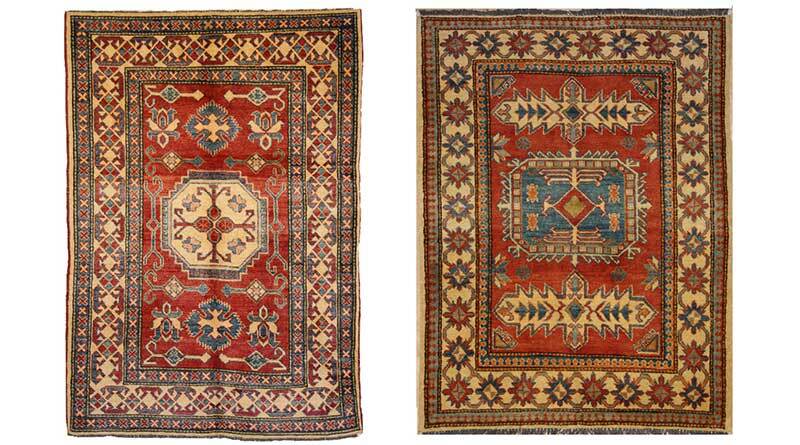 Carpets with a high knot density provides strong durability at a lower price than its Persian parallels. The Pakistan carpets, which today are mass-produced (in Lahore, Karachi and Rawalpind), are divided into Mori carpets and Persian where 90% of the Mori carpets have a Bochara-like pattern and other Turkmenistan patterns. Ziegler carpets, that are manufactured in Pakistan, have patterns that are copied from older traditions in the Arak district, Persia. Pakistan Rugs are also being manufactured here that gathers inspiration from Caucasian carpets and are sold as “Kazak Fine“. Pakistan rugs are made around Lahore with production also in the Karachi area. The Bochara and Jaldar are recognisable with their very high sheen that is achieved through the washing process. Materials Warp (Cotton) Weft (Cotton and Pile (Wool).